While creating new opportunities to expand access to care, through Medicaid expansion and healthcare enrollment, effective implementation of the Affordable Care Act (ACA) has required the intervention of local organizations. Leaders in Arizona were the most successful in changing the political conversation about Medicaid expansion. 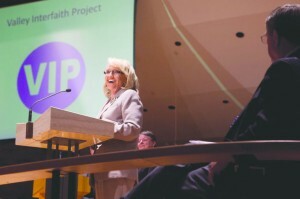 Governor Jan Brewer joined more than 800 leaders in Phoenix as they called on her Republican colleagues to support both restoration and expansion of Arizona’s Medicaid benefits. Ultimately, seven moderate Republicans broke ranks with their more conservative colleagues and supported the plan. 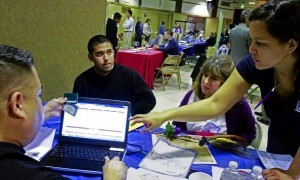 More than 300,000 people are expected to gain coverage under the new law. 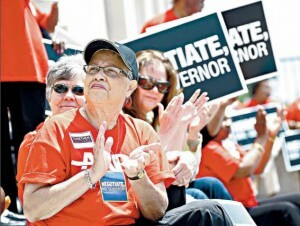 In April, leaders of Together Louisiana, a brand-new coalition of IAF organizations across the state, rallied at the Capitol to call on Governor Jindal to follow the path of Arizona and expand Medicaid. Joined by allies from both parties, leaders urged the Governor to negotiate for the expansion (on his terms) to secure the $500+ million in state savings that would result. A proposed constitutional amendment to mandate Medicaid expansion was just a few votes shy, however dozens of conservative legislators committed to working with Together Louisiana to promote enrollment in the national exchange. 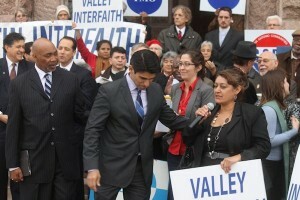 In Texas, leaders from across the state rallied in their communities and at the Capitol to encourage state lawmakers to expand access to health care, either through Medicaid or an alternative bi-partisan bill calling for a ‘Texas Solution.’ While neither passed in the Legislature, conversations generated by the campaign led to six counties passing bi-partisan resolutions supporting the proposals, as well as local partnerships to improve the implementation of the Affordable Care Act for low-income families and individuals. Dallas Area Interfaith leaders were asked by the county judge to develop a strategy in concert with hospitals and insurance companies to enroll residents in the national health exchange. More than one year in advance of a 2014 gubernatorial election, Oklahoma leaders organized a Health Care Summit to discuss the implications of the Affordable Care Act and the potential for Medicaid expansion. Co-sponsored by the Hospital Association, the Chamber of Commerce and the Oklahoma Policy Institute, more than two hundred Oklahomans gathered to discuss a strategy for engaging elected officials around access to care. 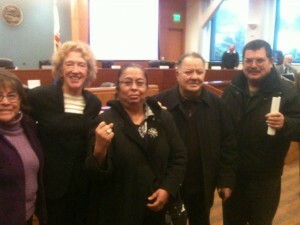 Leaders committed to collecting the signatures of 11,000 registered voters calling for Medicaid expansion. One LA leaders fought for and won ‘Community Partner Status’ with the LA County Department of Health Services, granting it direct access to the county enrollment system. A cadre of fifty One LA leaders went through training to become ‘Certified Application Assisters’, with the power to directly enroll people in the County health system. Leaders are now organizing mobile enrollment events at member institutions to connect thousands of uninsured Los Angeles residents to health services today. Conversations are underway about expanding the strategy to include private insurers and to prepare for Medi-Cal expansion.